Natural Pet Shampoo from Emu Oil? Emu oil is now known throughout the skin care industry as one of THE best skin moisturizers and facial moisturizers. 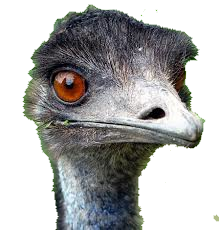 Many lab studies have shown (including one published in Drug and Cosmetic Industry Dr. M. Holick of Boston Univ) , that emu oil not only promotes skin healing but also has an anti-aging property and other health benefits. The discovery of Emu Oil actually dates back thousands of years ago when the Aborigines found its healing properties. The natural oil from the bird was used to relieve muscle pain, promote healing of wounds, alleviate arthritis pain, and to soothe and moisturize dry skin. But only very recently have the benefit of Emu oil been used by the western world. Both you and your pet can benifit from Emu Oil! Now you, your family and even your dog and cat can enjoy these same natural healing benefits using our high grade pure organic emu oil. Emu Oil absorbs quickly and easily into the skin to soothe and moisturize dry hands and feet. Emu oil is also an excellent treatment for acne, eczema, psoriasis and other skin conditions. Does your pet have a skin or joint condition? Emu oil is a 100% natural and gentle solution to many of the health and skin problems that your dog, cat, horse or other animal may suffer from. Emu oil helps relieve your pet’s joint and muscle pain, especially arthritis symptoms. Dogs that are scratching and chewing can find instant relief using our Emu pet shampoo. Our Emu Shampoo is a formula Emu oil and a blend of essential oils. No soaps or detergents are used. Emu oil not only maintains a healthy coat but also repels fleas, ticks and mosquitos. It is not only a dog shampoo but can be used on cats and other pets as well. In addition it can heal any cuts or sores and can even help prevent the outbreak of ring worm. Our Pet Shampoo contains Emu oil, lavender, patchouli, lemongrass and cedarwood to help improve skin conditions and naturally repel insects. No need for medicated shampoos or expensive flea dips. Our pet shampoo is very concentrated so a little goes a long way. Emu oil is an inexpensive and natural method for keeping your animal’s skin and coat in prime condition as one shampoo application last for 7 days! 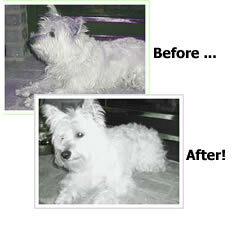 Our customers have reported to us that their animals look great after just one application. The pet shampoo is so safe and gentle that some of our customers have used it on their own hair. You will be surprised how wonderful your hair will look and feel. Whether your pet is a show animal or simply the family pet, he/she deserves to look and feel comfortable! Emu oil work wonders on many animals, including cats, dogs, horses and even cattle. Emu oil products produce a soft, healthy and shiny coat while keeping your animal’s skin, free of irritations. An increasing number of manufacturers are using emu oil as a key ingredient in their pet shampoos and conditioners.